ALIGNMENT: NEW STRUT ADJUST; oblate/elongate strut-to-knuckle bolt holes? 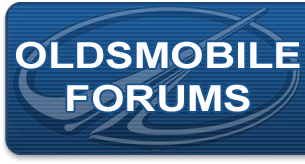 Oldsmobile Forum: ALIGNMENT: NEW STRUT ADJUST; oblate/elongate strut-to-knuckle bolt holes? I basicly rebuilt the entire (servicable portions of the) front end (EXCLUDING the inner tie rods). Now, we NEED ALIGNMENT; a little surprised to find the camber is out of spec. 1) grind oblate (i.e. elongate horizontal) the lower strut to knuckle bolt hole. 2) instal a cam bolt in the upper strut-to-knuckle bolt hole. ... also read somewhere that option no. 2) might not be so good? because, perhaps, the fastener may be "weaker" than Factory? I'm not sure (yet) if the Hunter machine specs. any/all of these three. The alignment guy only mentioned grind (or drill?) oblate the lower strut hole. So, ASSUMING that's correct, then how, physically, does one go about "elongating" that hole? I could borrow (a fairly primative) drill press but I also don't really have any idea how to proceed. The guy at the alignment shop suggested (since I'd installed the struts) that I DIY, but I think he presumed I am more than a shade-tree mechanic with access to ... I don't even own a Dremel Lol! Surely there's a "standard" way of doing this but - maybe not --- it's a kinda "non-standard" thing and I'm a bit PEEVED I didn't see this problem going into it; i.e., maybe SOME of the struts COME with the lower bolt elongated ... or else GM (for some years) assumed the FSM instructions of essentially "there is no camber adj. on the 2nd gen Intrigue" would hold water. I KNOW THAT'S A LOT OF QUESTIONS, COVERING NEARLY EVERY POSSIBILITY - BUT IF I KNEW - I WOULDN'T ASK Lol! PS: I DID in fact DO some (a little) Google-type research RE: "GM w-body Intrigue strut oblate elongate &tc &tc" and surprisingly found VERY little. My 3.8L w-body car cannot be THAT unique? That's a question ... or perhaps my search criteria? Heck, I just didn't FIND much. I DID find a few people commenting on some general forum GM (or even just a general auto forum rather) that the "ELONGATE PROCESS" seemed "rather troubling," since this was enrgineered for plug-n-play; but plug 'n play (or toe-n-go) this is NOT, so somebody somewhere is gonna run into this problem sooner/later and it'd be helpful to post how/when/where does one proceed w/ respect to NEW struts. I'm starting to DOUBT that aftermarket struts COME with the oblate openings; but of even that much I can't be sure. PPS: Something ELSE TROUBLED me: It's very hard to "know" (or rather "guess") the torque specs on the sway bar links. I DID realize they get torqued under load, but I was way off doing it by "look/feel." IOW I didn't realize one (apparently) MUST squish the rubber QUITE a bit. I thought that'd destroy the rubber pretty quick. Let's just say I was WAY wrong; it wound up SO LOOSE that brake parts started vibrating loose as well. Also, are calipers and associated bolts (I think 4 per axle?) to be torqued REAL tight also? Christ almighty one of my caliper bolts (the one with the BIG WASHER) came completely off! So I'm now ASSUMING those bolts are kinda/sorta like lug nuts insofar as (much much much) better safe than sorry? i.e., is FAR better a "little tight" than "a little loose?" ... I tend to clean/lube those bolts so maybe I'd better be DAMN sure they is tighter than "kinda tight." I just didn't know ... but I DID find out aftermarket alluminum wheels (on the T-100 truck) better be torqued-x's-three [since the wheel fits "flush" and so do the lug nuts - the damn lug nuts will fall off if not SUPER tight]. Ouch! At least we didn't grind COMPLETELY down the rear hub - when wheel FLEW OFF AT 60-65MPH. I KNEW there was "some wabble" and was intent on immediately checking lugs when I got to my home garage, but I thought (in construcxtion zone of all things!) the wabble/vibe was due to "uneven pavement." BOY was I wrong. We found the wheel/tire about 3/4 mile from "separation" and was a MIRACLE no one was struck/injured/killed/ in RUSH HOUR wall-to-wall traffic as 3-lanes merge 2-lanes at 5:30pm Fri, Major Intersate!!! It's just not POSSIBLE I wasn't responsible for multi-car pile-up but apparently the tire rebounded COMPLETELY OVER 2-full-lanes of rush-hour-bumper-bumper traffic. There's a God afterall.